A laboratory for new technological solutions, motorsport is the driving force behind our innovations. Rather than reserving them for the race track, we include them in our standard vehicles to let you enjoy ever more performance, reliability and driving pleasure. In troduced on CLIO R.S. 200 EDC, Launch Control lets you move away like a "cannon ball"! By managing the level of grip on the ground, this electronic system eliminates wheel slippage by acting on the engine torque . By simply holding down the steering wheel-mounted paddles, you can quickly downshift several speeds to negotiate each turn in the best gear. Offered on CLIO R.S. 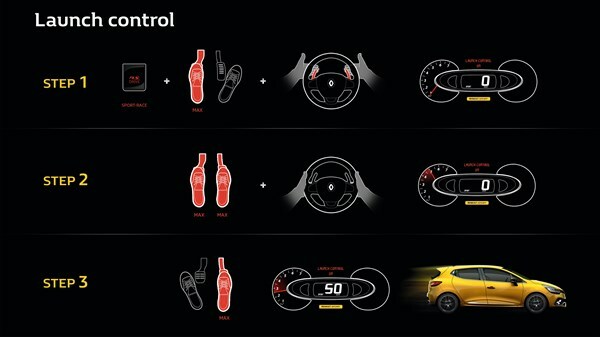 and on MEGANE GT, this technology promises unrivalled driving experiences. 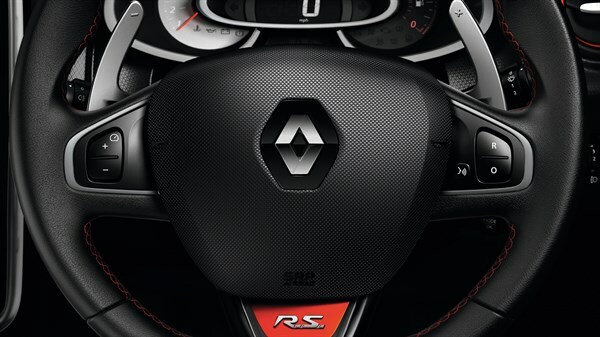 Inspired by the data acquisition systems used in competitive driving, R.S. Monitor records all the information transmitted by the car's sensors. Power and engine torque, brake pressure, oil temperature, steering wheel angle etc. It displays up to 14 values on the dashboard. All of the data can then be used on a computer and compared with benchmark times on the main tracks. Devised for the R21 Turbo Superproduction of the late 1980s, the independent steering-axis front suspension system found a new use in the most powerful models of our R.S. range. Contrary to a MacPherson front suspension system, the steering axis is completely decoupled from the damper. 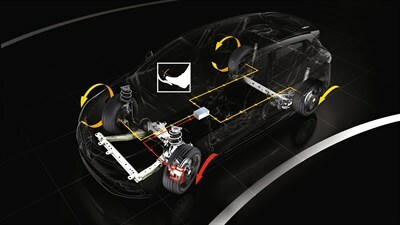 This process prevents locked wheels in a sharp turn and improves consistent steering at a high speed. Introduced in Formula One in 1977, the turbo technology pioneered by Renault is currently featured in most models of the R.S. and GT range. 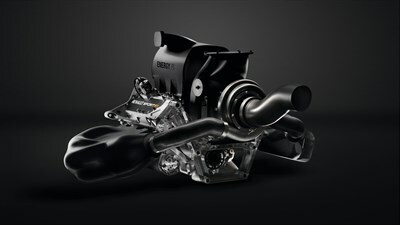 Since 2014, turbo technology has also made a comeback in Formula One. The extra power and efficiency brought by this technology is one of the factors that has reduced emissions by 40% at comparable performance.